NEW YORK, New York, April 11, 2012 (ENS) – The Wildlife Conservation Society today announced that it would “take direct responsibility” for the survival of some of the world’s most endangered tortoises and freshwater turtles. So many of these animals are being collected, traded, eaten and used for medicine that they are being pushed into extinction. In addition, their habitats are being fragmented, destroyed, developed, and polluted. Based at New York’s Bronx Zoo, the Wildlife Conservation Society has developed a new strategy to prevent the extinction of at least half of the species in a 2011 report by WCS and other groups that lists the world’s 25 most endangered turtles and tortoises. Four top-priority Critically Endangered species will be protected first, says WCS, which plans to reduce the numbers of turtles caught for the commercial trade and reduce the numbers of aquatic turtles that die by drowning in fishing nets. 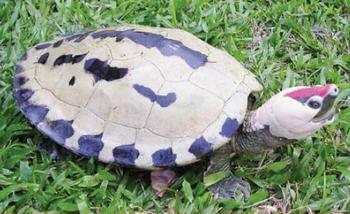 The four species are: the Burmese starred tortoise, Geochelone platynota, the Burmese roofed turtle, Batagur trivittata, the Southern River terrapin, Batagur affinis, and the Central American river turtle, Dermatemys mawii. The organization plans to safeguard the endangered turtles by working with governments to react rapidly in nations that are centers of turtle diversity, such as Cambodia, China, Colombia, Ecuador, Guatemala, Indonesia, Myanmar (Burma), and Vietnam. Founded in 1895 as the New York Zoological Society, the nonprofit opened the Bronx Zoo to the public in November 1899. Its success led WCS to acquire four more wildlife parks during the 20th century: the Central Park Zoo, the Queens Zoo, the Prospect Park Zoo and the New York Aquarium. 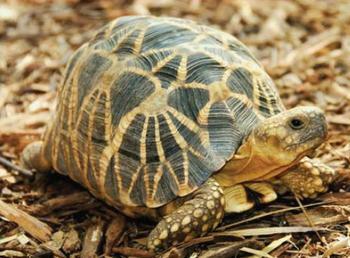 To ensure survival of the endangered turtles and tortoises, WCS will use its four zoos and aquarium, its global wildlife health program, and its conservation field programs. WCS will breed and reintroduce some species and and protect others with field work. For another group of species, the scientists will develop assurance colonies, captive groups of animals maintained so that no genetic diversity is lost. Assurance colonies will be developed at WCS’s zoos and aquarium in New York, and with partners such as Wildlife Reserves Singapore, the Turtle Survival Alliance, Turtle Conservancy, and the Asian Turtle Program. Species now are being evaluated for that purpose. WCS has plans to begin recovery of other species suited for zoo breeding programs within the United States. Turtles hatched through this effort will be quarantined at a biosecure facility at the Bronx Zoo, then transferred to holding facilities in their range countries to begin reintroduction programs. Finally, WCS plans to establish a captive breeding and head-starting program for imperiled turtle species native to New York State to supplement remaining wild populations. Off-exhibit, outdoor enclosures will be constructed at the Bronx Zoo for several species, including the spotted turtle, Cyclemys gutatta, Eastern box turtle, Carolina terrapene, and wood turtle, Glyptemys insculpta. “WCS has more than a century of experience caring for reptiles at our zoos and we are confident we can help supplement wild populations with zoo-bred animals,” said Dr. Calle. Turtles and tortoises need all the help they can get. “Populations are shrinking nearly everywhere. Species worldwide are threatened and vulnerable, many are critically endangered, others teeter on the very brink of extinction, and a few have already been lost forever, with eight species and two subspecies having gone extinct since 1500,” according to the report, authored by scientists from WCS as well as from the International Union for the Conservation of Nature, the IUCN Species Survival Commission, Conservation International, the Turtle Conservation Fund, the Turtle Survival Alliance, the Turtle Conservancy/Behler Chelonian Center, the Chelonian Research Foundation and San Diego Zoo Global. To help promote worldwide turtle conservation, WCS is asking Congress to fully fund the U.S. 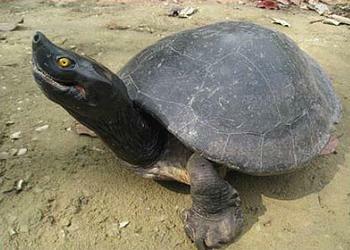 Fish and Wildlife Service’s Wildlife Without Borders Program, whose Critically Endangered Animals Conservation Fund supports several freshwater turtle and tortoise conservation projects around the world. In addition to its efforts to conserve terrestrial and freshwater turtles, WCS continues conservation efforts for on sea turtles in Nicaragua, Gabon, Sulawesi, and Madagascar.